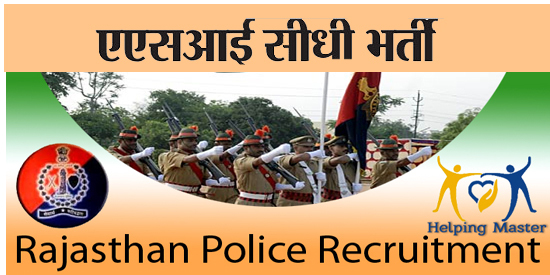 Rajasthan Police invites online application from Rajasthani candidates to join various post. Online application start from 21.11.2016 to 21.12.2016. Rajasthan Police bharti application fee: Unreserved or OBC candidates need to pay Rs 1000/- , For SC/SC candidates Rs 750/- and Candidates who are belong to other states need to deposit Rs 1000/- only. Note :- Candidates can deposit application form nearest E-kiosk or E-mitra. Age limit :- Candidates who are appling for the post of Inspector telecom, Promoter, Technical should be age of 20 to 35 years old and Candidates who are appling for Assistant Sub Inspector must be aged between 20 to 25 years. Education Qualification :- B.Sc with Physics and Maths for the post of Assistant Sub Inspector and Sub Inspector or Diploma in Radio Telecommunication. How to apply :- Candidates casn apply only online mode from nearest E-Mitra candra. Where Emitra owner open police website www.police.Rajasthan.gov.in and put his user name and password in E mitra.